The biomass power plant work by creating renewable energy from the most common thermochemical process, ie combustion. 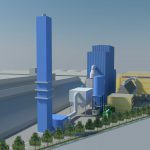 The applications are many of different size, starting with the pellet stoves up to industrial plants for district heating. Gasification, by pulling out the synthesis gas. We talk about renewable energy because it makes use of biomass, which consists of natural origin and organic material that would still have product in its life cycle the gases which in this case are used as fuel. There isn’t therefore any additional input of CO2 as would be using fossil fuels such as coal and oil. Some examples of this very energetic substances are: waste of agricultural and forestry production, industrial waste and farming, waste, manure, municipal waste, wood, as well as the so-called energetic crops, ie plants grown with this sole purpose. Until the discovery of fossil fuels, it was biomass, in guise of firewood, to provide the necessary support to humankind; only later, coal and oil became predominant, pushing biomass at the corner. The gradual return to biomass was necessitated by political instability problems, due to the non-homogenous distribution of non-renewable fuels on the planet and economic and environmental sustainability problems: in fact, we cannot entirely rely on sources considered exhaustible. Energy production from this type of fuel, as anticipated, is rising across Europe. In countries like Germany and Denmark, but also Austria and Spain, the exploitation of these materials is more intense due largely to more favorable rules in favor of the biomass power plant. The delay of Italy is due to the fact that you must often cope with a poorly informed public opinion which is hostile to different sources of renewable energy (this is not the case in other parts of Europe). 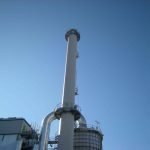 The advantages of this type of thermal power plants are numerous, not only compared to non-renewable sources, but even compared to other clean energy. Other advantages over other clean energies. The production of energy in biomass power plants has obviated the important problems faced by systems such as wind and solar, ie, storage of generated energy and the continuity of supply. Energy can be stored in fact by accumulating the fuel and using it when you need it, and also the input in the network can be adjusted and locked if necessary. In addition, the investment is reduced and the system can be designed and realized even in developing countries along the same lines. I. Plants up to 1 MW. Here the benefit is a feed-in tariff, given by the sum of the basic rate incentive plus more awards entitled by the plant. These concessions have a duration equal to the biomass power plant estimated average life (usually 20 years), and are obtained in different ways, but the most common is the direct access, for those who just make new construction, upgrades or reactivations. You can also be accessed with registers recording, or participating in a Dutch auction.